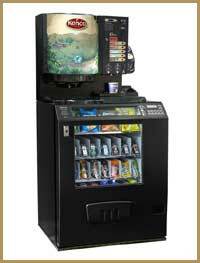 The Darenth Encore Auto is a reliable and user friendly table top hot drinks vending system with internal sugar dispenser. 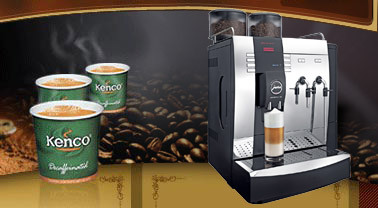 This coffee vending system uses the Kenco In Cup range of products to guarantee consistent drink quality as well as requiring very little daily maintenance. There are a number of optional extras available for the Encore Auto machine including a coin mechanism that will also accept tokens and a cabinet for it to sit on (making the machine into a floor standing system and giving you extra storage space). The Encore Auto is also compatible with the entire range of Darenth slave machines to offer chilled cans, bottles, crisps, snacks and filtered cold water. While this machine can be manually filled we would suggest that it is plumbed into the mains water supply and fitted with a commercial water filter. A good water filter will help to maintain the optimum drink quality as well as prevent problems caused by scale build up in the water tank. The Darenth Encore Auto is suitable for a great many applications. 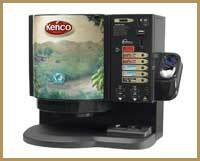 It can be used as an office coffee machine or in reception areas and meeting rooms. As with all of the equipment that we supply rental, lease and purchase options are available. 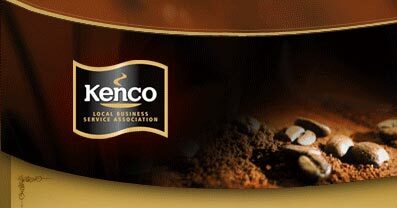 Kenco Local Business Service can provide these coffee vending machines across London as well as supplying all of the service support and products that you may require for them.